LinkedIn confirms to TechCrunch that it plans to build Stories for more sets of users, but first it’s launching “Student Voices” just for university students in the U.S. The feature appears atop the LinkedIn home screen and lets students post short videos to their Campus Playlist. My note: Since 2012, I unsuccessfully tried to convince two library directors to approve similar video “channel” on the SCSU library web page with students’ testimonies and ability for students to comment / provide feedback regarding the issues raised in the videos. Can you guess the outcome of such proposal? A LinkedIn spokesperson tells us the motive behind the feature is to get students sharing their academic experiences like internships, career fairs and class projects that they’d want to show off to recruiters as part of their personal brand. For Microsoft, it’s bringing a key, missing piece into the company’s strategy to build out more services for enterprises, and give it a key way to compete against the likes of Salesforce. Use LinkedIn Groups not only as a way to distribute content, but also as a way to listen to our audience. Develop a mission statement that distinctly outlines why the group exists to give a clear vision to both potential members and your brand. Use targeted keywords in its title and to identify its category so the group can be found in organic search rankings. Create clear guidelines and rules. Right before students graduate from SCSU, Andrew Ditlevson (apditlevson@stcloudstate.edu) from Career Services (https://www.stcloudstate.edu/careerservices/) will offer an excellent workshop on how to use LinkedIn (https://www.linkedin.com/) to network and search for a job.However, your work on building a robust electronic portfolio can start much earlier. LinkedIn is famous for its networking and job search, but it can help you orient yourself in your future profession. My note: LinkedIn is making one step further toward establishing itself as a viable option for electronic portfolio. With a newly expanded “Add to Profile” program from LinkedIn, colleges and universities can invite their graduates to display their degrees and certificates on their LinkedIn profiles by clicking a single link. 1. A profile picture that won’t get you hired. Do yourself a favour and click the “People you may know” button and pick something you like that has a little more respectability to it. The same applies for avatars and pictures with someone else other than you in them. 2. A professional headline that is anything but. Use a description that is both accurate and related to either the benefit you provide or your title within your company. Either way, this is guaranteed to return your profile in some searches. It’s a bad first impression. Give people a reason to connect with you and start off on the right foot. 4. Not even really wanting to be friends. What do you do with all those connections? Do you actively keep in touch? What do you do when you get a message from a contact about business? Do you tut, sigh and ignore them? Fly into a rant about people contacting you on LinkedIn to talk business opportunities? 5. Going all “selly sell” right off the bat. Do you send spam messages? The LinkedIn inbox delivers into your recipient’s inbox. It might be a warmer and softer way to get noticed but there is no relationship. Better to create rapport by asking questions, sharing content, joining the same group and showing your expertise and counselling side there. 6. Joining groups and not getting involved. If you join groups and then don’t contribute, you’re partially responsible for the failure of the group. Quickest remedy is to set your group digest emails to once weekly and comment on a few discussions once a week when your email lands. 7. Liking and commenting on absolutely everything. Liking and commenting on everything works well on Facebook and gives your friends a vanity boost but on LinkedIn less so. Think of it as being at that networking event and you’re the loud self absorbed guy no-one wants to talk to. Not quite so appealing? 8. Sending tweets directly into LinkedIn. The automatic #in from Twitter was removed several years ago but it doesn’t stop the socially savvy copying and pasting or using a third party like Hootsuite to update multiple platforms at the same time. I do this but do try to tailor the messages to not include @ and #. Are your tweets even relevant to your LinkedIn audience? You’ll see they might jar after a while. 9. Asking people you barely know for endorsements and testimonials. It’s a bit like asking your Facebook page to be liked but actually more vulgar because they haven’t presumably sampled your expertise yet. 10. Insharing Richard Branson’s (and other influencer) updates. OK, it’s not Richard’s fault, but my point is, I often get to see what Richard and many others have to see a hundred times in my feed thanks to this piece of functionality. It’s got to Facebook like proportions. When hundreds of people do the obvious, have the bottle to stay true to yourself and go your own way. Baron, S., Richardson, B., Earles, D., & Khogeer, Y. (2011). Harketing academics and practitioners: Towards togetherness. Journal Of Customer Behaviour, 10(3), 291-304. Berk, R. A. (2013). LINKEDIN TRILOGY: Part 1. 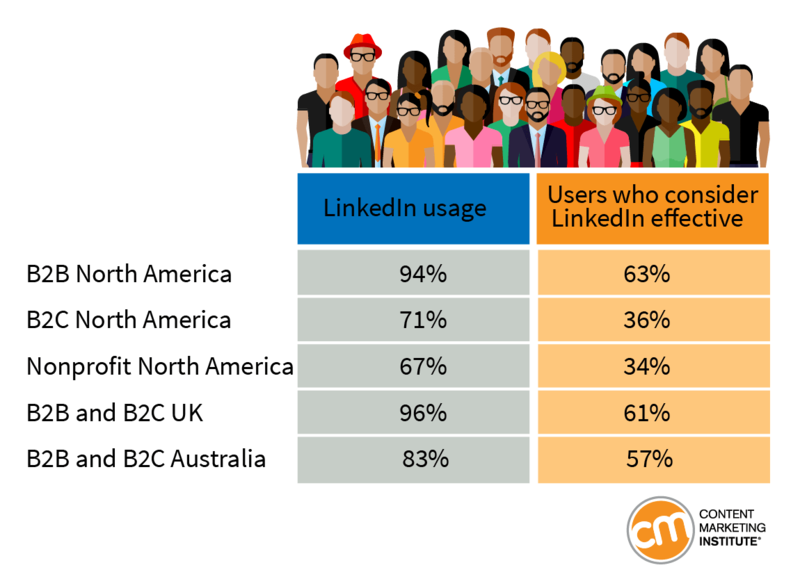 Top 10 Reasons You Should NOT Join LinkedIn Professional Network!. Journal Of Faculty Development, 27(2), 62.
students place a higher value on the technologies their instructors use effectively in the classroom. a negative impact of social media usage on academic performance. rather CONSERVATIVE conclusions. Students should be made aware of the detrimental impact of online social networking on their potential academic performance. In addition to recommending changes in social networking related behavior based on our study results, findings with regard to relationships between academic performance and factors such as academic competence, time management skills, attention span, etc., suggest the need for academic institutions and faculty to put adequate emphasis on improving the student’s ability to manage time efficiently and to develop better study strategies. This could be achieved via workshops and seminars that familiarize and train students to use new and intuitive tools such as online calendars, reminders, etc. For example, online calendars are accessible in many devices and can be setup to send a text message or email reminder of events or due dates. There are also online applications that can help students organize assignments and task on a day-to-day basis. Further, such workshops could be a requirement of admission to academic programs. In the light of our results on relationship between attention span and academic performance, instructors could use mandatory policies disallowing use of phones and computers unless required for course purposes. My note: I completely disagree with the this decision: it can be argued that instructors must make their content delivery more engaging and thus, electronic devices will not be used for distraction. Brand, P., & Arasteh, S. (2013). USING LINKEDIN and TWITTER for JOB SEARCH and CAREER MANAGEMENT.Career Planning & Adult Development Journal, 29(3), 33.
the use of social media by scientists who may or may not be introverted, focusing on the potential professional benefits of online communities such as the professional networking website LinkedIn as of February 2014. Topics include the social network Facebook, the microblogging website Twitter, and peer review networks.